After several years of planning and preparation, Keoua Honaunau Canoe Club has received a grant from the Administration for Native Americans (ANA) for a two-year project aimed at strengthening the Hawaiian cultural landscape of the Honaunau coastal area. ANA, a federal agency under the umbrella of the Department of Health and Human Services, promotes economic and social self-sufficiency by providing discretionary grant funding for community-based projects implemented by indigenous tribes and Native Hawaiian and Pacific Island community organizations. 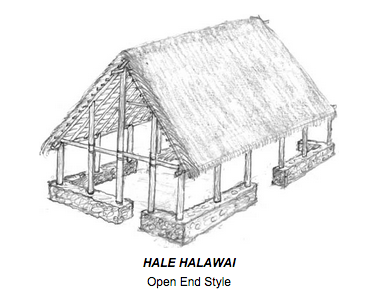 During the two-year Honaunau Ola Mau Loa project, a traditional hale halawai at Honaunau Bay, the Hale O Ho’oponopono, will be re-established, involving a hale builder training program for five haumana (interns) that will provide skills towards participants’ eventual certification as Certified Hale Builders, and a series of seven community hale building workshops. With the generous support of Kamehameha Schools, Hale O Ho‘oponopono was one of the early precursors of the current Hawaiian Immersion schools. 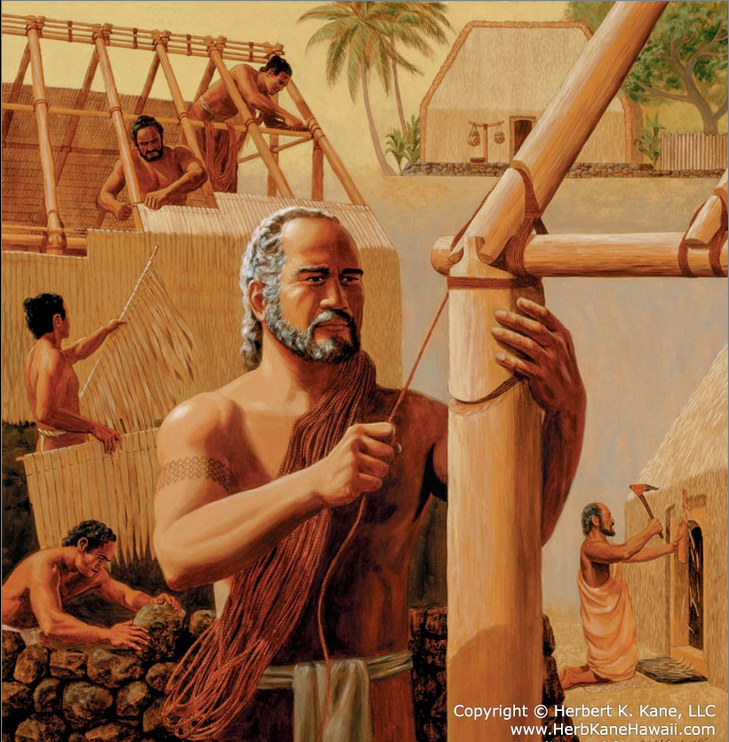 In the early 1970s, a number of local kupuna came together and approached Kamehameha Schools with the vision of developing an alternative learning approach that wove Hawaiian cultural studies and activities into an academic curriculum to fill the needs of the many local children who were struggling with the educational system at Konawaena High School. Many were dropouts, homeless, and/or in trouble with authority so Hale O Ho’oponopono became a home where they could air their grievances and resolve their conflicts under the watchful eyes and guidance of kupuna Uncle Abraham & Lily Moses, Tutu Clara Manase, Joe Tassil, Diana Aki, “Boot” Matthews, Dixon Enos, Clarence Medeiros and others. The students went paddling, fishing and ‘opihi picking, while learning ‘olelo, hula, mele, and hale building, in addition to the standard curriculum required for graduation. They also did volunteer work at Pu’uhonua o Honaunau NHP, learning the history and traditions of this important wahi pana. As a means of getting the South Kona community involved, students, staff and area residents also founded Keoua Honaunau Canoe Club in 1975. All these initiatives gave them the confidence and support they needed to excel at their academic studies, as well as becoming productive members of our Kona community. The re-established hale halawai, when completed, will create a strong holding environment for the ongoing study and practice of Hawaiian culture, visitor education, protection of our precious lands and water, and the development of culture-based local economies. The project also involves the implementation of an ahupua’a boundary marker system for the four ahupua‘a between Honaunau and Napo‘opo‘o, modeled after a similar project in Kaneohe on O‘ahu that was carried out by the Ko’olaupoko Hawaiian Civic Club. The establishment of a Hawai‘i-wide system of marking these traditional ahupua‘a boundaries is widely seen as a very significant step towards educating the public about the ahupua‘a system and how the ancient principles of ahupua‘a management can inform sustainability initiatives today. Through the presence of the highly visible boundary markers and informational brochures and website, the community and visitors will be more aware of and connected to the cultural and natural resources of these ahupua‘a, have access to the history, stories and traditions of each ahupua‘a, and will be more likely to get involved with or be supportive of community stewardship activities that protect these resources. Rafael Ramirez, Keoua Honaunau Canoe Club president, says, “This project will help ensure that future generations understand the history and cultural significance of our wahi pana, re-creating a traditional environment for educational and stewardship activities.” The project will be implemented with the assistance of ten other community organizations and agencies that will serve as project partners. For more information about the project, email to contact@keouacanoeclub.com.